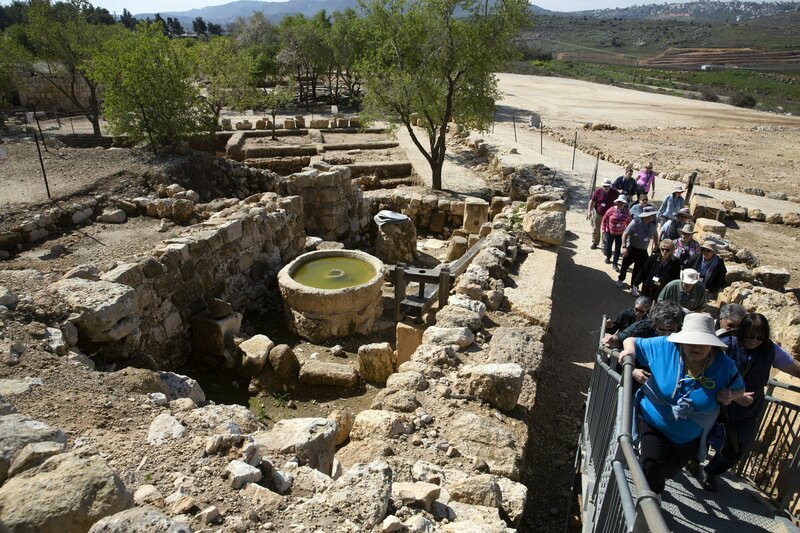 SHILOH, WEST BANK — Deep in the West Bank, Israeli settlers have transformed an archaeological site into a biblical tourist attraction that attracts tens of thousands of evangelical Christians each year. The hilltop mound, 20 miles (30 kilometers) north of Jerusalem in the Israeli-occupied West Bank, has been excavated by several archaeological missions, starting in 1922, and has yielded remains spanning over 3,700 years. The site is inside the Jewish settlement of Shiloh, founded after Israel captured the West Bank in the 1967 war. The tourist attraction is built on private Palestinian land but Palestinians are barred from entering, according to a recent Amnesty International report.